I recently had a divine appointment with a video on the difference between function and purpose. We are not just created for functions like intimacy, fellowship, worship, etc. We do those things because that’s how we’re wired as sons, but we are created for purpose and works. Things like wealth creation always follows purpose. We can’t make money a goal. Goals are built around our purpose and the value it creates for others (ministry and business are the same thing). Wealth is added when I put the Kingdom first. The Lord has me in a place of grasping purpose and exercising faith or trust in Him for the wealth to make it happen. How we function is not confused with what we do. We always function from a cup that overflows with love and finances and His word, but that is not what we do. We have an assignment, a race, a purpose . . . That Kingdom purpose is always larger than our bank account. Covenant – When we understand the power of God’s blessing and how willing He is to bless Sons, things like wealth creation flow out of us just like creativity. It’s easy to make money! New ideas, opportunities, people and favor come along regularly. We just pick the best ones! Mid-course corrections – John, can you admit when you are wrong? When your course is leading to failure can you adjust? I am moving your servant mentality to “son” and “king.” It’s time to understand the difference between being led and managing your initiative in wisdom. Father is not spelling out every detail, you can’t expect everything to go perfectly. It’s time to grow up and manage your talents. Putting the Kingdom first and cooperating with what you are seeing the Father doing is your source of authority and confidence and initiative (the attitudes that facilitate wealth creation). You may experience failures and adjustments in the details, but your course is unchanged and unshaken. Wealth creation is a function with ups and downs; not something you worship; not something you set your heart on. Listening – Protection from theft vs. the vulnerability of foolishness. Your life is hidden in Christ. 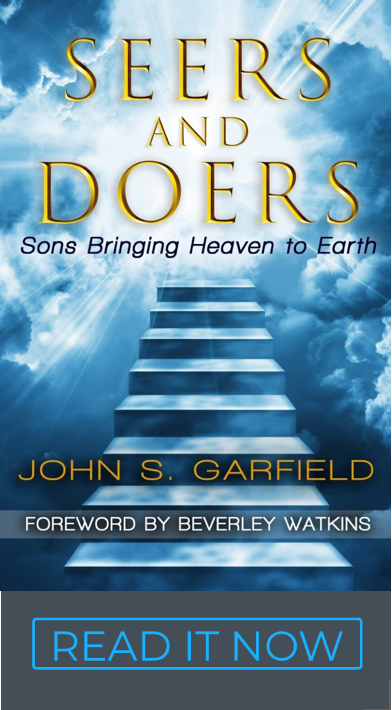 You cannot fail – your Father is always redeeming your failures. He is your fortress and high tower. Your counselor is the Holy Spirit – the spirit of truth. Listen to “counsel,” He is a source of blessing. “Wisdom and Understanding” will lead you to thanksgiving and riches. I said, “Lord I feel like a deaf person.” Wisdom immediately replied, “My sheep hear my voice.” I traded my deafness with repentance for my own ways and asked for three things: 1) Hearing your voice of truth, 2) Receiving your wisdom in my heart, and 3) Grasping understanding – a quick mind is a quickened mind. We can do this – The spirit of counsel and might (power) – births confidence, boldness, faith, exploits. It releases the warrior in your heart’s desire. Your attitude will always be, “We can do this.” A “wealthy” mentality is that you have value and you can create value for others. Learn to take small losses. You will not be right all the time. Be wise enough to admit when your approach is wrong make adjustments. It doesn’t mean “you” are wrong or your purpose is wrong. It means pick a smarter path. I’m making room for your initiative and stewardship. I’m proud of you my son. Expect the unexpected. Don’t be surprised by warfare, volatility, circumstances (everything is not predictable or pre-scripted). Be “unshakeable” regarding your purpose, flexible regarding “our” strategies. Make decisions in wisdom. I am not leaving you, I am making room for you to be a son. Come back often, live here! The council of heaven is your wellspring now. Wisdom lives here. These two verses start now! For those of you who own a Business, join Larry Nault and myself at Building A Kingdom Company.